GUATEMALA CITY (AP) — U.N. Secretary-general Antonio Guterres on Wednesday rejected a request by Guatemala’s government to name a new head of a U.N. commission investigating corruption in the Central American nation. Spokeswoman Florencia Soto told The Associated Press that the agreement between Guatemala and the United Nations stipulates that Guterres gets to determine the head of the commission. “The secretary-general does not see any reason to change his current position of support for Commissioner Ivan Velasquez,” Soto said. Alfredo Brito, secretary for presidential communication, confirmed that the government had received a note from the United Nations but said he did not know its contents. The letter, to which The Associated Press was given access, repeats that the U.N. stands behind Velasquez, but it also says a deputy head of commission may be named. 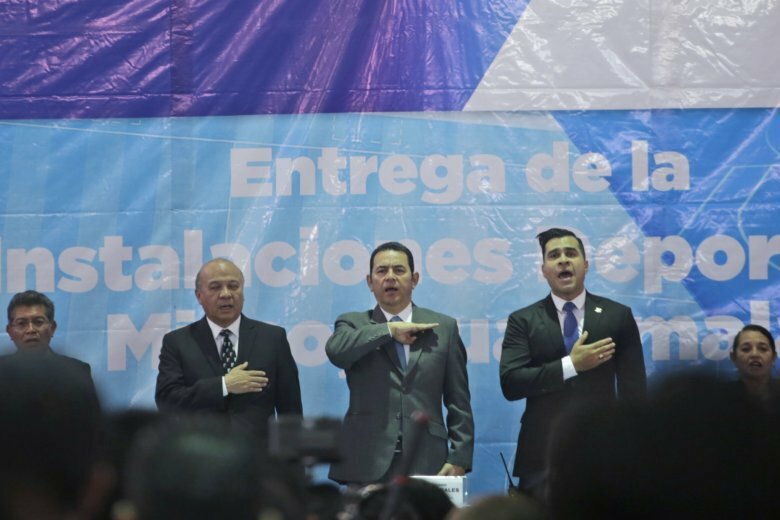 The refusal continues a standoff between the world body and Guatemalan President Jimmy Morales, who announced in recent weeks that he would not renew the mandate of the commission. Morales also refused to let Velasquez, a Colombian national, return to the country from the United States, and on Monday gave the United Nations 48 hours to present a list of candidates to replace Velasquez as commissioner. Guterres and the commission have helped press a number of high-profile graft probes, including one pending against Morales himself. He is suspected of receiving more than $1 million in undeclared campaign financing, though he denies wrongdoing. Last year, after the commission and Guatemalan prosecutors sought to bring corruption charges against Morales’ brother and son, the president declared Velasquez persona non grata and sought to have him expelled from Guatemala. That move was blocked by the Constitutional Court, which also ruled this week that the president cannot bar the commission head from the country. But after the latest ruling, officials in Morales’ administration said they would continue to bar entry by Velasquez. As sitting president, Morales is immune from prosecution. A motion to lift that protection is currently before lawmakers.